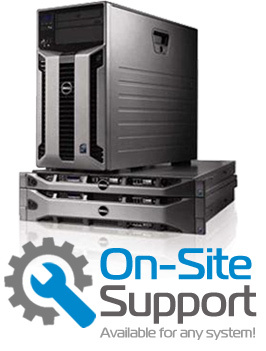 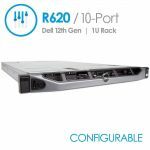 The Dell PowerEdge R730 is a highly versatile, two-socket 2U rack server with impressive processor performance, a large memory footprint, extensive I/O options and a choice of dense, high performance storage or low-cost, high-capacity storage. 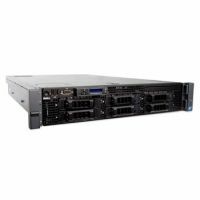 With the Intel® Xeon® processor E5-2600 v3 product family and up to 24 DIMMs of DDR4 RAM, the R730 has the processing cycles and threads and large memory footprint necessary to deliver more, larger and higher-performing virtual machines for data centers and cloud platforms. The option for up to two 300W dual-width accelerators/GPUs (choose from Intel® Xeon Phi™, NVIDIA® Tesla® and AMD FirePro™) supports environments that require processing acceleration, including graphics-intensive virtual desktop infrastructure (VDI) implementations, such as CAD/CAM and other research and development applications. 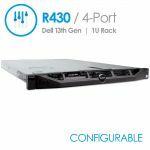 Seven PCIe Gen3 expansion slots plus a dedicated slot for a RAID controller further enhance IO flexibility to help make the R730 an ideal compute node for IT as a service (XaaS) providers as well as high-performance computing (HPC) and medical-imaging solutions. 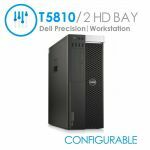 Efficiently drive workloads with high concurrent usage and frequent random access to all tables, payloads and log files using the R630 with an all-flash SSD configuration. 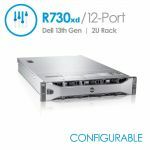 16 x 2.5" – up to 29TB via 1.8TB hot-plug SAS hard drives"
8 x 3.5" – up to 48TB via 6TB hot-plug NL SAS hard drives"
More information can be found on the official Dell PowerEdge R730 Specs PDF.